Blame Trump, blame Brexit, blame the bleak midwinter blues. Whatever the cause, love was certainly not in the air at Sadie Coles on the night of 1 February, when Urs Fischer invited visitors to re-mould his larger-than-life plasticine replica of Rodin’s The Kiss. 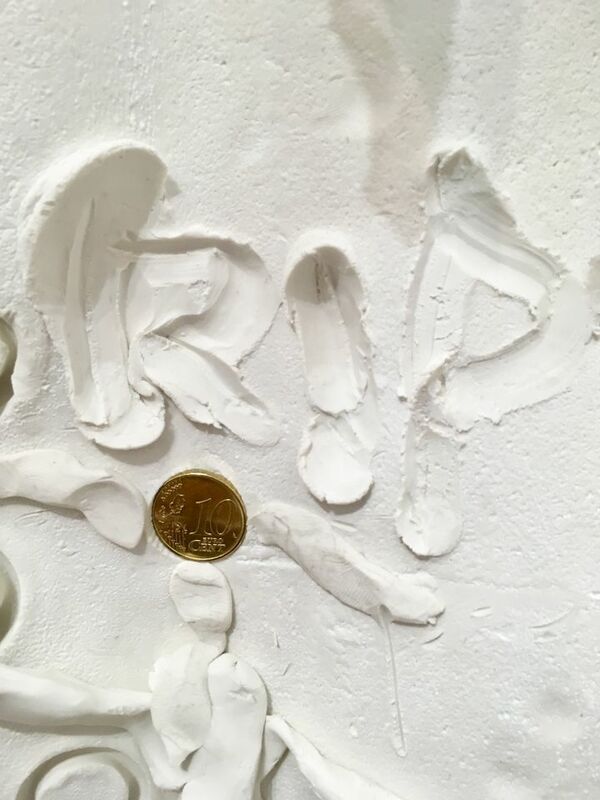 It all began quite genteelly—in honour of the Brexit vote simultaneously unfolding in Parliament that evening, your correspondent embedded a euro into the back of the lovers accompanied by the words RIP. But as the private view unfolded, the tenderly embracing couple were rapidly subjected to a near-frenzy of gouging, tearing and mutilating, with some visitors climbing on to the figures to wreak maximum destruction. The Swiss-born, New York-based Fischer frequently subjects his work to unpredictable transformations—past pieces have included giant figures made from melting wax candles and clay sculptures randomly created by volunteers—but even he seemed nonplussed at the aggression meted out on his latest sculpture. But as Sadie Coles staffers started to wind down proceedings, the artist responded philosophically that he hoped the experience had provided a therapeutic outlet, commenting that “everyone did seem quite angry”. All in all, a rather hands-on example of the healing power of art.